I want to introduce my new service to you – a monthly raw treat box. Each month subscribers will receive a selection of raw snacks: chocolate bars, snack bars, crackers, that kind of thing, plus product samples when available. 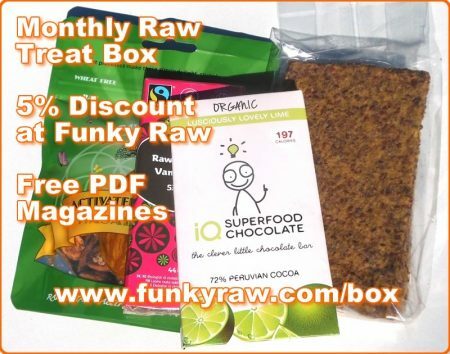 Subscribers will also get free access to all PDF copies of the Funky Raw magazine (back issues and new issues) plus 5% off all orders from the Funky Raw shop. All this for only £15 per month… click here to read more and subscribe. The first box will be going out in the first week of June. 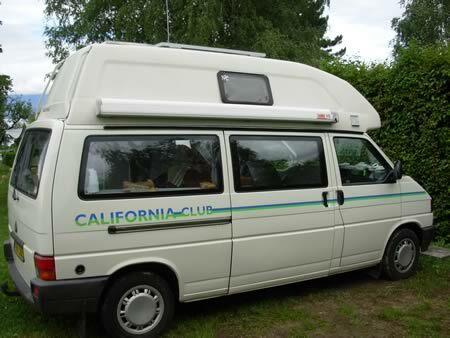 We’re currently travelling in France, looking for an area we would like to live, where we can buy land to set up some kind of raw food retreat/holiday centre. I will try and keep this blog updated with our progress, photos and of course all the wild food we are finding. 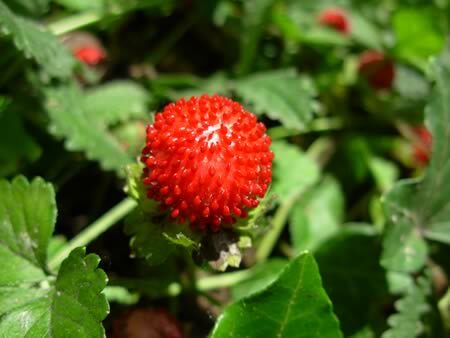 When I next got access to the internet, I looked it up and found that it is called Mock Strawberry, False Strawberry or Indian Strawberry, Latin Potentilla indica (formerly Duchesnea indica and it is stilled listed as this in some places). 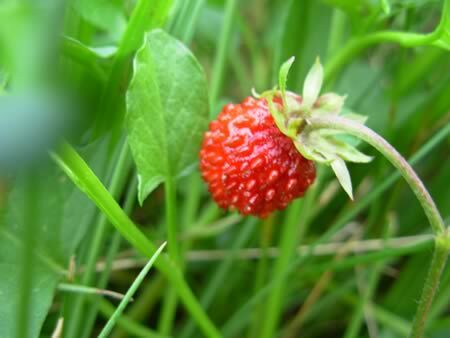 It is edible, so next time we found some I tried one – it has almost no flavour and it is white inside just like real strawberries. Today is a holiday so no raw food, just a fun and very clever video I found while randomly surfing the internet. It’s an acapella version of the Ben Folds Five song Best Imitation of Myself. Hope you like it. Hope you like it! You can hear more of their music and see their current tour schedule on their MySpace page – listen to “In Bloom”, you’ve got to scroll down the list of tracks to the last on, it’s beautiful. My reply, keep it in an airtight container of course, if you store it in the internet, the mouse might eat it!